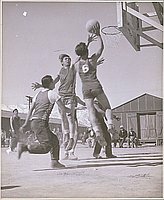 1 b&w; image of boys playing basketball. 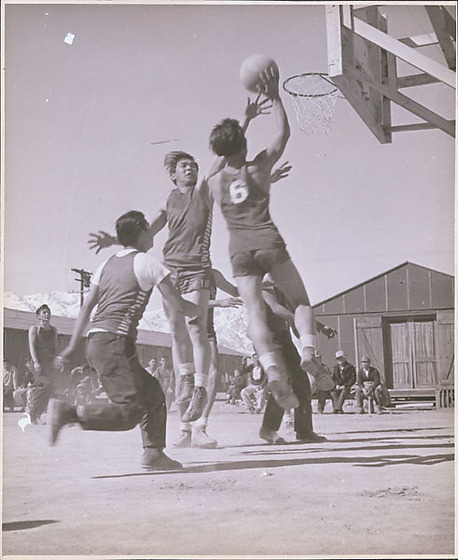 One boy in the act of shooting and another boy attempting to block the shot. The boys are wearing basketball jerseys. Some spectators in the background sitting on a bench in front of a barrack.